I warned in my previous post, that I owned this dress in two colors, this is the second, and possibly my more favorite one. Somehow in my thrifting adventures I found this exact same shirt dress in two colors at two different Goodwills. I am quite partial to these dresses because they are so easy to throw on an head out the door. 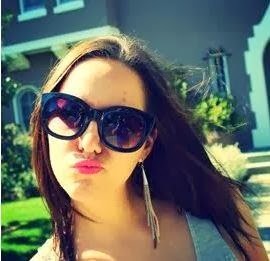 I am a big fan of easy fashion! 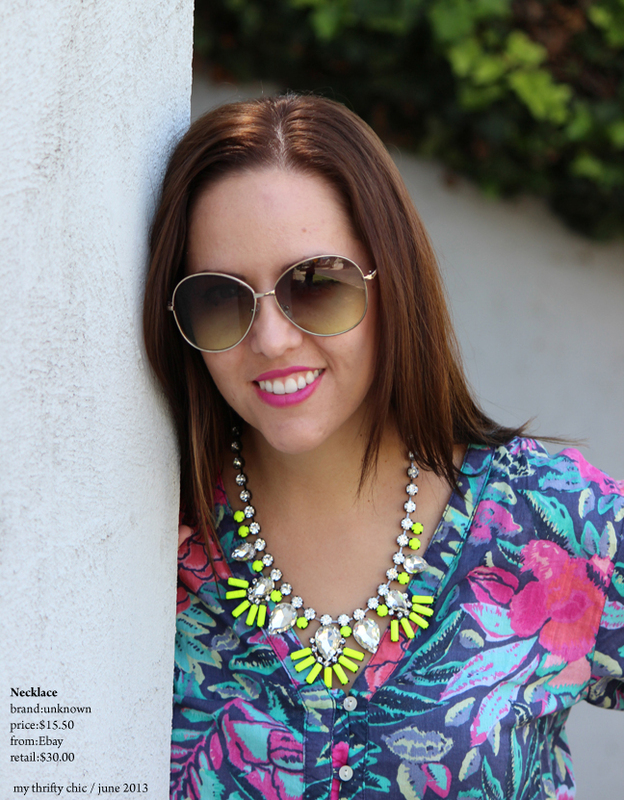 I am also crazy about this neon yellow necklace! I have been on a statement necklace kick lately. All I did was type in "statment necklace" on Ebay and now I've added 5 new ones to my collection! 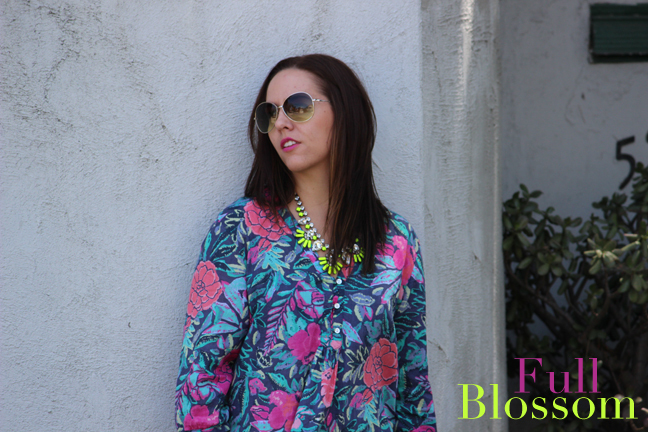 Bold necklaces are great because they add extra pizazz to any outfit! Oh my gosh this dress is so cute! 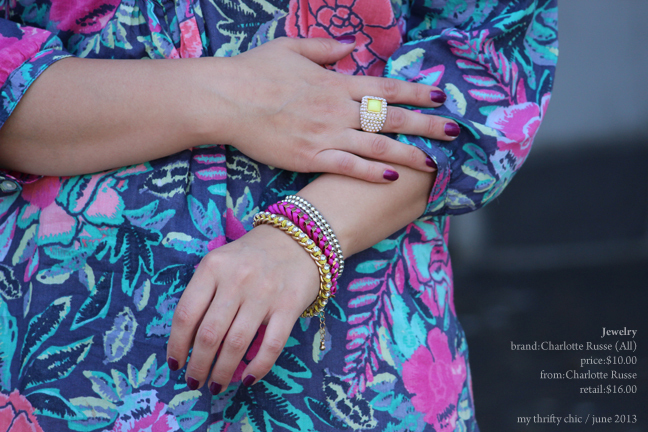 I love both colors, and actually I didn't even really notice that they were the same print! What a gorgeous find. I'm also in LOVE with your ebay necklace. You definitely know where to score an amazing bargain! I love the whole outfit! Especially the necklace...I'm all about statement necklaces! I like the second one. Both are really pretty though. Please stop by Walli's facebook page and vote for me. I completely agree that easy fashion is the best! Nothing better than being able to simply throw on a great dress and a few accessories to head out the door. I'm a new follower via the #FundayMonday linkup! Hope you have a great day, would love if you stopped by my blog as well! I like the lighter colored one best but both are amazingly cute. Those pink shoes are great as well. I like this one. But that decision may be heavily influenced by those amazing fuchsia shoes! Both of the look amazing. I like the other one a little better but they're both amazing. 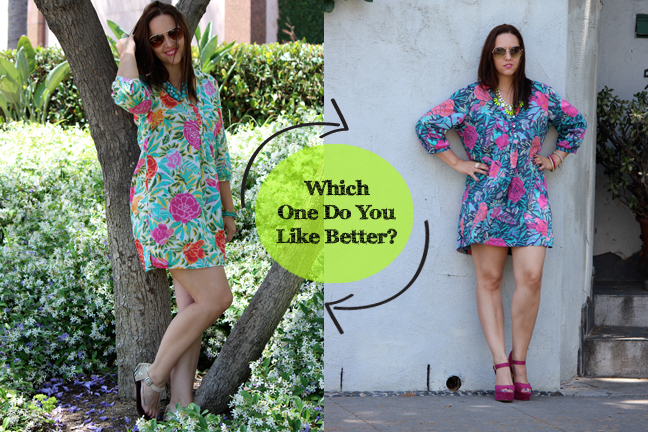 Come linkup this floral dress with me today if you get a chance. I'm a huge fan of both! You can pull both off so effortlessly, well done lady!